Here you go; something we all want. Five-star reviews for our books. But what do readers think when they see all fives on a review? Or a review that is amazing and awesome, but so vague, one has to wonder whether or not the reviewer actually read the title. Readers will probably think Mom and sis did a lot of reviews. And we want more than that, right? We don’t ask for someone’s opinion so that they can tell us what we want to hear. I’ve noticed in the inspirational community, we truly encourage each other. A multi-pubbed author might offer to read a work and help a newbie on their way. I have to think that makes our community a very special one. No, I don’t to think it; I know it. I see the acts of kindness every day in many ways. Client A who has been waiting ten years to get a contract will help Client B, who just signed with me, and gets offered a two-book deal at a much-coveted house, to get his or her edits ready in time. Client B might then go on to help Client A clean up her proposal, her last chapters, whatever it takes to get her novel ready. However, and this is an issue that stands out to me as a negative within the community, when asked for a review, too many of us, and most of us have done it, will give a review that should probably be a 4-star review, five stars. Why? There’s no one answer, but my gut tells me that it’s because we are an encouraging bunch. We don’t want to hurt anyone’s feelings. It’s not hurting feelings, it’s being honest. The author learns from constructive criticism, or should. We all should. Just having smoke blown up our tights doesn’t help us to grow as writers. Crit partners start us out, and reviewing readers keep us going. I did have to laugh over the review of one book I read. The reviewer praised the author up and down, and then gave her a three. Really? How did that happen? The reviewer complained that there was a “religious” thread in the book. IT WAS LOVE INSPIRED! Really, what did she expect? But the fact was, she tried to let her true feelings be known, silly as that comment was. The truth is what teaches us, nurtures us, guides us. What type of reviews do you do? Have you seen? Have you endured??? Congratulations, you'll both receive a copy of With Eyes of Love and a Dana Buchman e-reader cover! a flood and made a best friend for life in the process. Barbara, welcome. It must have been frightening trapped in your car in a flood. Frightening isn’t the word for it. Can you imagine a sudden rush of water and your car sliding in all directions? My father, the calm one in our family, did his best to keep his head, but I’m afraid the rest of us—all females—wanted to cry. And we did! It was Christmas for gosh all golly! Christmas time. How horrible! What did you do? I mean, you were stuck in a small town in Tennessee; was there even a hotel available? I’m afraid it was full from other stragglers. So many were caught in the water that day, but a kind family, the mayor’s family, actually, took us in, helped us have a wonderful Christmas. That’s where I met not only my best friend for life, Betty Judge, but, well…a very handsome man, Jackson Judge, the mayor’s son. But I thought you were engaged, or, were about to be to Elliott Grayville VanDusen back in New Castle, Indiana? I was. But those chocolate brown eyes that stared at me through the car window and came to our rescue, actually insulted me at first, if truth be told, well, they just…but I don’t want to give it all away. Suffice it to say, my vulgar, giant diamond from Elliott didn’t sparkle quite as much as brown eyes did. Sounds like you had an exciting Christmas that year in more ways than one. Oh yes. The Judge family was so very kind and thoughtful. I even think my little sister Abby had a crush on Willie Judge, the pudgy little teen who never seemed to keep his hands away from the peanuts. Did I mention the Judges owned the peanut factory in town? Well, anyway, I know Abby and Will started writing as pen pals shortly after our disastrous trip. I heard Jackson went into the Navy shortly before Pearl Harbor. He did, though no one wrote me about it. I didn’t find out until I went back to Tennessee to be In Betty’s wedding. A happy time in the middle of the chaos of WWII. I learned Jackson had been at Pearl during the bombing. And he…well, he wasn’t the same after that. Wouldn’t even come out of his room. But I like happy endings. Tell me everything worked out for the best! I think you might want to check out my story. Let’s face it. Sometimes things work out; sometimes they don’t. A friend wrote it all down for me so I could pass it on one day. She wrote about all the tears, all the laughs, all the happiness and heartache. All the misshaps. Gracious! When that miserable man tossed my suitcase in the air and all my clothes—all my personal items…well, forgiveness is paramount, don’t you think? With Eyes of Love. Or as Helen Keller said it best: the best and most beautiful things in the world cannot be seen nor touched...but are felt in the heart. Thanks for stopping by, Barabara. I’m sure we’re anxious to find out just what happens to the Richardson and Judge families. Say, are you willing to give away any of those stories if that lady finishes for you? I’d love to. How about if I send a book to two ladies, or men if you think they’d be interested, if they are willing to leave a short comment about some fact about Pearl Harbor. It’s dear to my heart, you know. 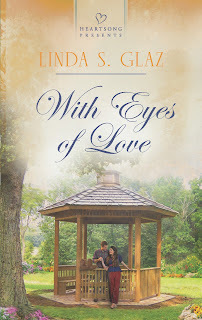 Just leave a comment about Pearl and your email addy, and I’ll draw two names out of a hat next Saturday, or have Bunny draw them, and we’ll send along a copy of With Eyes of Love. Happy commenting! Drawing next Saturday, leave a comment and don't forget your email addy so I can let you know if Bunny draws your name. HEY, LET'S ADD AN ANNE BUCHMAN E-READER COVER TO THE MIX! WHY NOT? OOPPPSSS!!! MEANT DANA BUCHMAN, GOOD GRIEF, SHE'S MY FAVE DESIGNER. YES, A DANA BUCHMAN COVER! SHEESH! HEY! LET'S ADD AN ANNE BUCHMAN E-READER COVER TO THE MIX! WHY NOT? 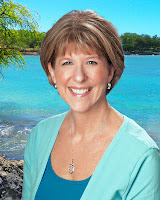 Cheryl Martin has an incredible imagination and she has turned that and her background in Hawaii into a wonderful series for middle-readers, The Hawaiian Island Detective Club. And you don't have to be a tween to love the stories; I was hooked on book one. 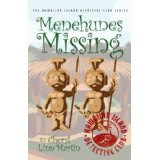 What is Menehune's Missing about? It’s just a game, right? Wrong! The Menehune Hunt turns into an eerie intrigue filled with danger as The Hawaiian Island Detective Club tackles their second genuine mystery. The crazy clues make no sense at all, but Leilani is determined to figure out why the statues of Hawaii’s treasured, Leprechaun-like little people are disappearing during the school fundraiser event, even if it means asking her pain-in-the-pants, ten-year-old brother, Kimo, for help. 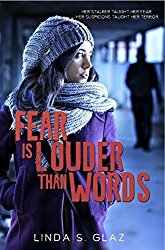 A fire, a visit from police, a creepy stakeout, too many suspects and an intense diversion involving Kimo and an irate storeowner hinders their investigation. Leilani worries that they’ll never figure out who’s stealing the odd, yet unremarkable little statues, and why. Are she and her friends in danger . . . from someone they know? So, Leilani, what is like being a detective with The Hawaiian Island Detective Club? Amazing! Maile, Sam and I have been friends since kindergarten when we used to dig in the sand and build castles. They’re the greatest, and even though they may think my stakeout ideas are crazy, they always help me—and we always nail the culprit! ‘Course then there’s Sam’s annoying belching—gross. What was your favorite part of solving this mystery? (Leilani giggles) Getting my annoying, itchy cast off! Actually, I loved spying on Mrs. Wong and watching Kimo do a great diversion job. He may be my annoying I-know-everything little brother, but he really is a good detective. Oh, but don’t tell him I said that—he’ll bother me forever about being a real member of The Hawaiian Island Detective Club. What about Kimo? Is he still blackmailing you? Naw. He does know some secrets about me from both mysteries, but as long as I give him some important jobs to do, he won’t tell Mom. Were you ever scared while solving this mystery? Only when I thought Kainoa was trapped in a fire. Seeing all that smoke freaked me out big-time! (Leilani blushes) He’s my surfing buddy, and . . . well . . . I mean, have you ever seen Kainoa surf? He’s amazing. (I wink at Leilani and her face flushes red again) Summer’s over now and school’s about to start. Do you think you’ll have time for another mystery? (Leilani grins) I don’t know, but I’ll be on the lookout for sure. Whether it's for a birthday or any other event in your child's/grandchild's life, get Menehunes Missing, better yet, get Pineapples in Peril and then your child will beg you for book two. This is a delightful series and I encourage parents or anyone involved with children to start them on the road to Hawaii with this wonderful series. LEAVE A COMMENT BELOW WITH YOUR EMAIL ADDY(MUST HAVE THE ADDY) AND I'LL BE PICKING A WINNER SUNDAY NIGHT! ALOHA! Barbara (Bunny) Richardson lives a perfect life. Wonderful family, amazing voice, and very handsome, very wealthy fiancé. But it doesn’t take long for her to realize he will always make decisions that benefit only him and his business. Barbara will never know the desires of her heart, only that she will be the beautiful woman on his arm. 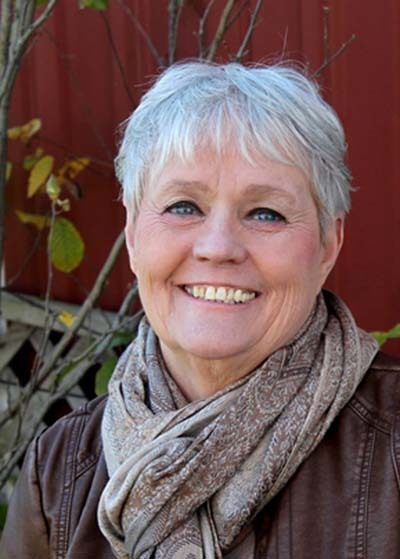 Then, when traveling with her family, Barbara is stranded in a flood in Tennessee, and the handsome man who comes to her rescue turns her perfect life into chaos. Two years later, when they find their paths have crossed again, Jackson, holed up in his room, refuses to meet with her. How could she love a burned and scarred freak, a remnant of Pearl Harbor’s destruction? A man who didn’t save a seventeen-year-old seaman who was counting on him? But Barbara has other ideas. She intends to shame the pity party out of Jackson and when that doesn’t work, she tries a dangerous game of making him jealous at his sister’s wedding. How deep is beauty? And do we get the chance to see real beauty with eyes of love? Here's what UPS delivered today. So excited, not sure I'm breathing yet! free line by line and content edit! and a synopsis, now's your chance. of your novel and you get a chance to have me look them over. 2) Follow me and you'll have two chances. follow me, and tell me me what your favorite book is. YOUR FIRST 25 PAGES AND A SYNOPSIS! Don't miss out on this chance to have three chances! Contest ends on Wednesday the 6th! Don't miss out, enter today. contact you if you win!